The parapet walls which were once used by guards are now the ones for citizens and tourists to ramble. The view of York Minster from the City Walls near York Station is one of the best shots for photographers. 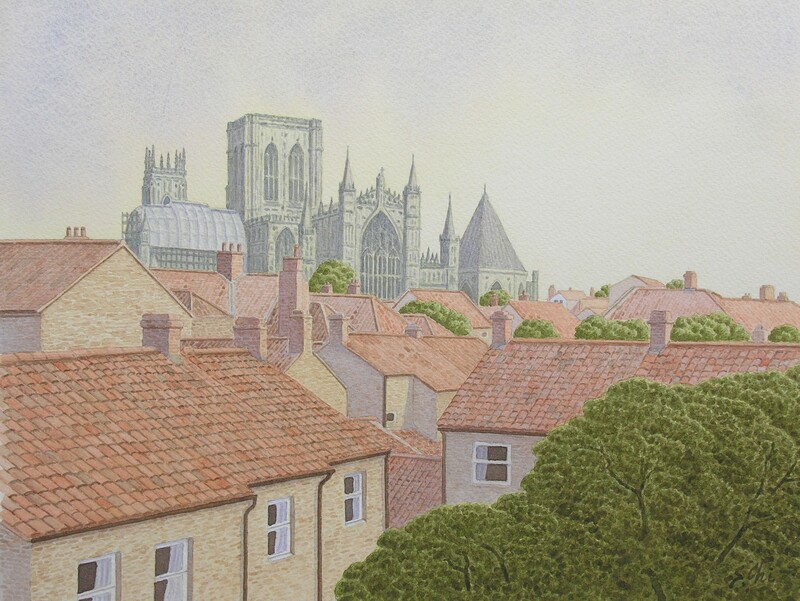 From the walls, between Bootham Bar and Monk Bar near the north-east corner of the walls, I could enjoy the view of the Minster changing its appearance from the different direction, over the big horse chestnut trees. 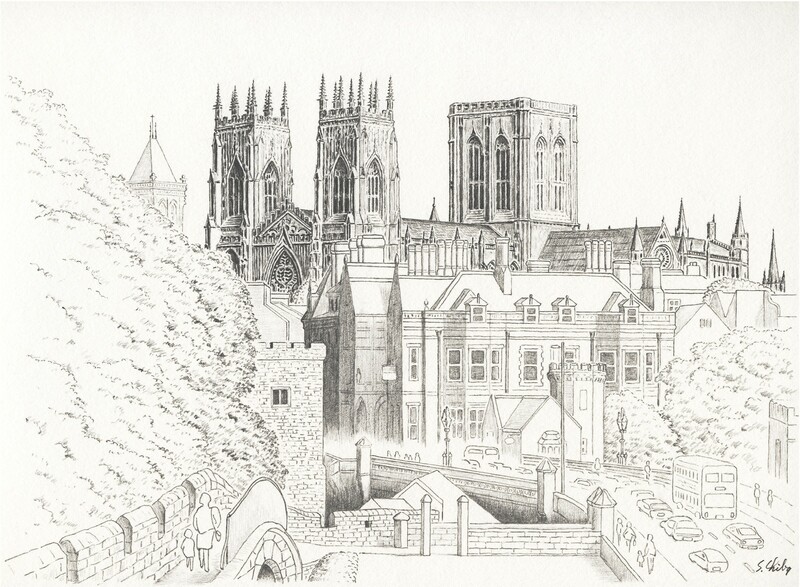 I also love the good view of York Minster from near the River Foss. I could see it over the red tiled roofs of houses in the distance. It was a still view, different from the magnificent one from the west front of the Minster. The construction of the Minster was almost finished in 1480. The central lantern tower was intended to be surmounted with a spire. But as the risk was considered to be too great, the plan was abandoned. If the central lantern tower had the spire, which would be 500ft high, the Minster would be more magnificent. Historic buildings like York Minster are often under repair. When I visited York in 1985, the south transept was covered with a temporary roof and surrounded by scaffolds for the repair works. On my desk now, there is a pen stand made of wood block of oak. It has a carving of a flower like a miniature boss of a vault. The script on it says that the timber is an authentic fragment of historic York. I don't know where the timber was used, but whenever I see it, it reminds me of the town of York and the time I spent there.